I assumed I would love modern "flat track" roller derby. I was vaguely aware of its previous incarnation (of the 1940s through 1970s) and it seemed pretty exciting. When I heard it was back and that it had come back led by women and free any ugly sexism, that was supposed to have been a part of it before, I thought, "Great!" A few years ago when I was in Los Angeles some friends were going and I had planned to go along, but at the last minute I couldn't. Without any roller derby near me, and without any friends who go, it just slipped from my attention. And then the other night as a tangent to searching for roller skating videos on YouTube (after watching the so-bad-it's-good Roller Boogie movie) I clicked over to see just what a modern roller derby match looked like. Ugh. It was awful. I had no idea what the rules were. I tried figuring it out by watching, but it made little sense. And it was just quite possibly the most boring sport I've ever tried to watch (arguably worse than curling, snooker, and sheep herding). Any strategy or logic in flat track roller derby seemed so subtle as to be irrelevant, and despite little of interest seeming to happen the score incomprehensibly climbed faster than any sport I have ever seen (almost 2 points/minute). A person or two standing like they were at a starting line. A few clumps of people in front of them, one clump five feet or so ahead, another clump ten feet or so ahead. And then the single people run at the group of people, get caught up, and very likely get pushed out of bounds, at which point they go back to where they started. And this just repeats itself ad infinitum. Occasionally the single people do get past a clump of people, but instead of zooming super fast away or this being the start of something dramatic, the person goes just a few feet and then slows down and returns to the starting line. Whoopie? The biggest thing I don't understand about modern flat track roller derby is, they've gotten rid of speed, they've gotten rid of a feeling of motion and dynamism, so why have they bothered to keep the players on roller skates? It feels unnecessary and forced. If the argument is that skates make the game harder, well, sure, but why not just play on a slippery surface or wear slippery socks? Roller skates are made to allow people to go fast, to be graceful, to be able to go big distances. The old roller derby clearly understood the purpose of roller skates. But this modern flat track derby requires none of these roller skate features. I ended up glancing at the rules of scoring, and learned that all points are earned by a team's designated "jammer" passing members of the opposing team (not including their jammer); and both jammers I gather are active on the track at the same time. And so I wondered, what happened? Why was I expecting this to be exciting? Had I misunderstood what roller derby used to be? I clicked on a YouTube video of a 1950 New Jersey vs. Philadelphia roller derby match (separate male and female matches) and wow, it was as I thought, that game made sense, that game was much more fun to watch, stuff actually happened! The people were constantly in motion circling the track, which is somewhat enjoyable to watch in and of itself, and because everyone is already at speed they can then do a great many interesting things to try to move the jammer forward, like one or more people sacrificing their own speed/energy to propel their jammer forward, by whipping them forward with their arms. Also because they were at speed and the track is banked people can quickly fly to the inside or outside of the track to try and get by, akin to auto racing. And because there was an outside railing the jammers are not constantly going out of bounds every two seconds and needing to restart. I assume that the primary reason the sport has become so insufferably boring is because of the elimination of the banked track. Moved out of the velodrome, speed is severely limited. At speed the centrifugal force would fling anyone not paying attention out of bounds. With a flat track you could not have people smoothly loop the track because every turn would be a chaotic mess. No doubt they moved the sport out of the velodrome because velodromes are hard to find, and they were able to broaden the sport as a result. But, having gotten rid of the banked track they had to get rid of the constant circling motion of the teams, and having gotten rid of that, well, everyone is mostly just standing around in slippery shoes. Maybe some rule changes could have compensated, made the sport still interesting, but I don't know. I'm in a miserably hypocritical state these days. Fall has come, mice have invaded my home and my car, and I have had to commit myself to their destruction. As someone who has spent 25 years not eating meat and tens of thousands of dollars keeping animals I love alive through veterinary care, I now feel like one of the evilest people alive having to kill mice, who under other circumstances I would find utterly adorable and worthy of my protection. But I feel I have run out of options. I spent countless hours a few years ago trying to mouse proof my house, digging a trench around the base of the house and burying aluminum flashing a foot deep and sticking up a foot to prevent their entry. I found other holes inside the home and sealed them with copper mesh and expanding foam. I have spent something like $500 on mouse deterring sonic devices. I spent another $100-200 for mouse deterring sprays, powders, and granules. None of my actions have ever kept them away, they have remained a recurring presence. And so with reluctance I have had to turn to far more severe measures: killing them in traps. Killing them does not come easy. For many years I trapped and released mice using Havahart traps, but with the rise of the hantavirus that no longer seems like a wise or viable solution. The mice in my house are deer mice, and statistically 14% carry a very deadly Sin Nombre hantavirus; 36% of people who catch the hantavirus and show symptoms die within 5 weeks of exposure. All it takes to catch the virus is inhaling the aerosolized vapors from recent mouse urine or feces (recent being within one week). And mice produce a neverending supply of urine and droppings. You can simply walk into a room where a mouse has defecated within the last week and in five weeks you are dead; since this happens all the time and people do not die, clearly there are other factors reducing the odds, but the fact remains that is all it takes. Given that the risk of infection is so serious you are supposed to wear a P100 mask, goggles, gloves, and booties to be in the presence of these mice or their feces I do not see how one could safely transport and release the mice. If you have ever live caught mice you know that: the traps are not air tight (they need to breath), they defecate and urinate quite a lot once caught (out of fear or frustration), and you cannot release them in your own back yard (they will simply return to your house). As such, trying to live trap and release deer mice seems like a recipe for hantavirus infection. Killing seems required. As for my mouse killing protocol, I have tried to make it as "fair" as possible, erecting the equivalent of warning signs at mouse height. Much like an East German border crossing of the 1960s, I do my best to scare the mice off before I demonstrate my uncompassionate, sadistic willingness to kill them. Each killing trap is placed within the presence of one or more deterrent products meant to warn him off. The mouse must ignore the ultrasonic sirens blaring only feet away and the almighty stench of the aromatic oils they are clinically proven to hate. Only after ignoring those do they reach the trap and die. I keep trying to comfort myself with the knowledge that life is hypocrisy. Despite my avoiding meat and catching and releasing the odd bug, I accept that I am directly and indirectly responsible for the deaths of hundreds or thousands of animals, insects, and other living creatures a year. I walk to get the mail and must crush bugs under foot without a thought. I drive down the road and dead insects cake themselves on the windshield. I eat carrots fresh from fields where no doubt tractors made roadkill of moles. Simply being alive requires the direct and indirect killing of teeming masses of other creatures; there's just no way around it. So, maybe I should face those realities and feel no special qualms about my direct involvement here... But it is not easy, it haunts me, grieves me. When I see their lifeless body I see my dog, I remember my hamster, I connect with my feeling cold when camping and just wanting to find a shelter. I wish them no harm, and yet I bring them death. And I say I grieve for them, and I do, but clearly not enough to not set the next trap; I feel like a monster. And I suppose that is good on some level, to feel so horrible. Blithely accepting the killing of those we can relate to has led to countless historical atrocities. I take slight comfort that I am not likely to be the next Hitler, Stalin, or Mao. In perceived defense of my life, I kill. No activity is more fundamental to our natures than that, I suppose. What a pity that it comes to that. Should You Sit Next to a Woman in a Niqab? Saw an article today celebrating a lad for sitting next to a woman in a niqab (full muslim covering); apparently other commuters in the subway were choosing not to occupy the seat next to her. The article perplexed me because everyone was assuming the motive of the commuters is negative and that seems unjust and unlikely. If I were in that subway car I would also not have sat next to her, opting to stand, if required. But I would not be doing so out of disgust, dislike, or disagreement, quite the opposite. I would have thought that was the response she desired. Wearing the full niqab strongly suggests that she is very observant/devout, and from what I have gathered there is considerable separation by gender within the observant/devout communities; many women only being able to be seen uncovered by their husband and close relatives, many women only being able to travel when escorted (and only then with a man related to her), women and men praying separately, etc. Why on earth would I imagine that a woman in a niqab would want a male stranger sitting directly next to her? (The general population seems only to barely tolerate strangers sitting next to them.) So, I'm very confused about what one is supposed to do in this situation... The woman in this situation said "thank you", so apparently his sitting there was welcome, but is that generally true? "My car battery died and a very helpful black man gave me a jump start." "This very nice Japanese woman helped me pick up my groceries when they fell on the floor." "I was lost and these Mexican children showed me how to get back on the freeway." If memory serves, the references only seemed to be included when the story was positive. Now, knowing the adults in question, I never got the sense that they meant the statements badly. They did not seem to be commenting out of surprise that a black man, a Japanese woman, or a Mexican child acted helpfully, that the behavior they witnessed represented some freak departure from racial/ethnic expectation/stereotype. Still, it seemed so odd to me. Why mention that additional irrelevant information at all? Was it a holdover from segregation or lack of interaction with people of different backgrounds and the novelty of the racial/ethnic element in the interaction demanded some mention? Was it just a natural tendency of humans to convey visual details when describing an event? Was it a subconscious attempt to reassure me that all people have the same capacity for goodness? I went the other way, specifically avoiding the mention of that racial/ethnic/etc. information in a story unless absolutely vital to the story, and even then I might only vaguely hint at it. And that's probably worse. The adults around me may have been acting harmlessly and naturally but I was acting unnaturally and in that overthinking and awkwardness dwelling on or highlighting differences (at least within my own mind). But the older monk picked up the woman without a word and carried her across the river. He put her down on the far side and continued his journey. Later in the day the younger monk came after him, scolding him and berating him for breaking his vows. The older monk replied, "I only carried her across the river, but you have been carrying her all day." I'm not sure quite what I do these days... I think and hope my non-mention of irrelevant racial/ethnic/etc. references is at least more natural now. But, the other day I was saying something to my girlfriend like, "I will have to watch this on the big tv when we get home." And she pointed out that we only have one TV in the house (and I've not had more than one in 20 years) and that despite that I always bafflingly call it the "big tv". And it struck me as perhaps being quite a bit like what the adults around me might have been doing years ago. I have apparently never gotten past the novelty of this TV's size*, just as interacting with a more diverse body of people remained a novelty demanding mention. 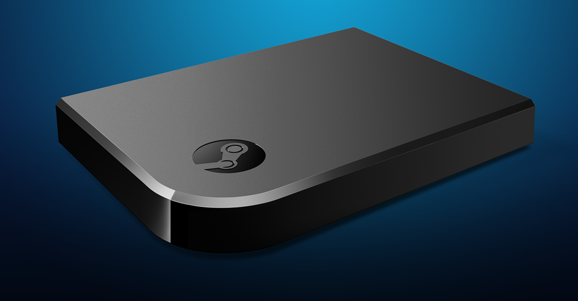 I just got the newly released Steam Link and it seems to work extremely well for games, but what I also wanted to use it for was more broadly streaming anything on my PC to my living room. And though it's not entirely obvious, it works great for that as well! Voila*, you should now be at the desktop! *Seeing a super short, super wide desktop? You are running multiple desktops aren't you? No problem. Press Windows-P (on your Link-connected keyboard, or your desktop one) to invoke the projector friendly config, and select "PC Screen Only" (it's the top item, in case you can't read the screen). Done! The performance is excellent for desktop as well, though it "feels" less amazing than games, which is either my imagination or something to do with the kind of compression. I'm not sure how anyone else's brain works, but for me there are a few handfuls of neverending loss that haunt me. Healing and acceptance never seem to come, grieving never seems to end. The best you can do is push away the sadness with other cheerier thoughts (and that is only so effective, read: not very). It's been said that people of a depressive bent look back too often, and not enough forward, and that certainly may be adequate explanation for the general phenomena. One of these losses, the one that prompts my writing on the topic today, is a friendship that more or less ended 15 years ago. We were friends, college roommates, then strangers once more. The disconnection still hurts. I tried quite a few times over the years to reconnect, but it never seemed to come to anything; he just never seemed much interested. I'm not sure quite what went wrong, but I blame myself. I would have done anything to keep the friendship, but I didn't know enough to know what to do or when to do it; I lack the art of easy friendship. And I know, if the past fifteen years is any guide, that I will never fully recover from the loss of his friendship and from the lack of his presence. I liked the me he teased out, I liked the synergies, and I liked him. I am sad for not knowing him longer, for not knowing who he became, and for not knowing the me I could have become through his friendship. And so I think of him often enough, though not to any purpose (I know nothing of him now). I just can't find a way to put away the puzzle, to stop imagining that somehow we could get back to some new then; some moment where the years and miles fall away. Even if I could remember to forget, I'm never more than a few weeks away from a dream which tries to set my soul to rest, playing out some natural reunion. But, dreams are all that will ever be, because some things simply are scenes of neverending loss.